Just one spell. Problem solved. How hard can it be? Rhiannon Godfrey is a psychic prodigy. Part scientist, part whatever, these five full-length novels follow Rhee as she figures out how to use her magick while navigating high school. Being a teenager is full of social wrong turns, complicated by popularity contests and homework. Add moving, ghosts and boys? 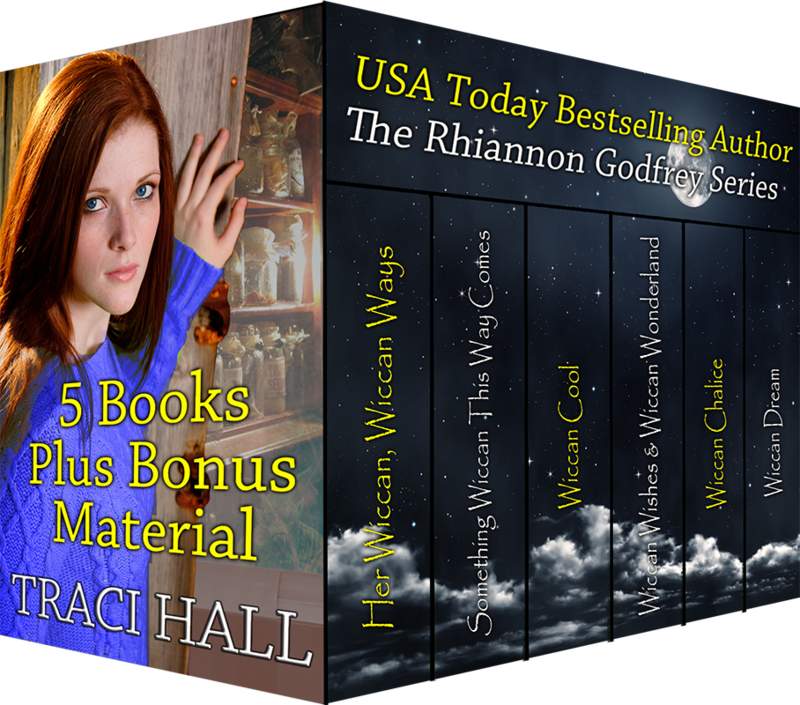 Rhiannon does her best to be good, she really does, but…well, magick happens. Enjoy brand new, never released before content in this boxed set! Rhiannon Godfrey is a psychic prodigy, but her parents don’t see things her way. They think she needs a “normal” high school experience—she wants to stay in trendy Vegas. In the small farming town of Crystal Lake, being Wiccan doesn’t exactly help the Godfreys blend in. Beyond angry, Rhiannon neglects to inform her parents the farmhouse they just bought is haunted. Instead, she decides to use the resident ghost to prove that she belongs back in Dr. Richards’s Institute of Parapsychology. Not that dispelling ghosts is her area of expertise, but really, how hard can it be? And then there’s Jared Roberts. Totally hot. For a cowboy, that is. Only problem? He comes with an evil twin sister, the shallow and popular Janet. Janet’s only goal is to make Rhee’s life miserable. So when she and her friends decide it’s time for a little payback, Rhee goes to her mother’s book of spells. Janet needs to be taught a lesson, and what harm can come from a few words? What’s a girl to do when trouble finds her at every turn? Being different is nothing new for Rhiannon Godfrey. Neither is hiding who she really is to all but a select few. 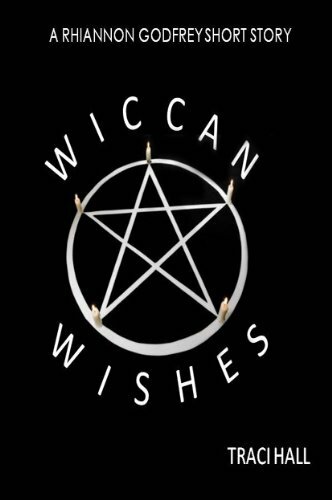 So far she’s managed to walk that line, but now someone is spreading rumors that the Godfreys’ New Age store is really a front for witchcraft, complete with cauldrons and eyes of newt. The whole town is turning against them—even Rhee’s boyfriend is suspicious. Then there’s her ex-crush Matthew, who just showed up uninvited on her doorstep carrying a single suitcase—and a heavy secret. Rhiannon tries to be good, she really does. But it’s hard when trouble pounces at every turn, and her unsuccessful spells seem to prove that science is the only path to enlightenment. Hiding her gifts and running from confrontation is easier than standing up for what she believes in. But this time, there’s more at stake. And the possibility she may have to find the inner strength to banish one friend in order to save another. At long last, Rhiannon is starting to fit into the ninth grade. She and Jared are starting to flirt again, and school is fine except for the mandatory student community service hours. She’s even learned to bank her psychic powers. Then there’s Dane, the intriguing, infuriating guy who’s her community service student supervisor. He’s got “angry teen” down to a science. Without even trying, he slips past her emotional shields, challenging her to be the one thing she’s most afraid of—herself. For Rhee, that’s as scary as the ghost haunting the silo behind Doyle’s ice cream parlor. A ghost that’s somehow connected to the shadows in Dane’s eyes. All she really wants is, for once in her life, to be normal. But for a girl like her, “normal” isn’t just an impossible dream, it can be downright dangerous. Especially if it means embracing her gifts—and opening her heart. Rhiannon Godfrey is spending New Year’s Eve worried her parents are going to divorce. Desperate to save her parent’s marriage, Rhee casts a prayer circle and wishes on Blue Moon Magick. 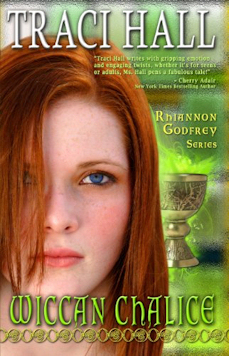 Wiccan Chalice is the fourth book in the Rhiannon Godfrey series. Rhee is a teenage psychic/scientific prodigy learning how to accept all aspects of herself as she embraces the Wiccan faith. She’s invited to star on Psychic Kids, a popular reality TV show, which will film in Crystal Lake. Researching ghosts for the show, Rhiannon finds some possibly damaging secrets about Crystal Lake’s founding members. She’s learned the hard way that secrets just won’t stay buried – but will she survive someone else trying to keep them hidden from the spotlight? Rhiannon Selene Godfrey, part scientist, part paranormal prodigy, opens a box from a mysterious stranger to find three marble statues dating back to ancient Greece. J.W. of J.W.’s Magic Emporium sends a warning along with the Oneiroi, and writes Rhiannon that he chose her because of her skills at dream divination. They aren’t so great, leaving Rhee no choice but to cram in order to stop the dream demon’s pranks unleashed in Celestial Beginnings. Her mom’s New Age shop has become a haven for the angry spirits, who want Rhee’s help. She thinks. She calls upon her namesake, the moon goddess of Greek mythology, Selene, for guidance as she and her friends attempt to capture the demons, and resolve an ancient curse.